Linda „Brasse“ Carlson, Director, Global Community Relations bei SOE, hat gestern in den Foren eine aktuelle Information zur geplanten Migration der europäischen EverQuest 2 Spieler von Sony Online Entertainment zu ProSiebenSat.1 Games veröffentlicht. Bei der vor wenigen Wochen gestarteten Übertragung von Accounts des SOE Spiels „DC Universe Online“ zu PSG wurden wertvolle Erfahrungen gesammelt, aber auch Optimierungspotenziale für diverse Abläufe identifiziert. Neben den Rückmeldungen aus der Spieler-Community werden diese Informationen derzeit verwendet, um den Migrationsprozess für die nächsten zu übertragenden SOE Spiele im Sinne der Spieler zu verbessern. Sony Online Entertainment und ProSiebenSat.1 Games haben sich deshalb entschlossen, die anstehende Übertragung der europäischen EverQuest 2 Spieler zu verschieben. Sie wird nach dem vom SOE Kundendienst per E-Mail angekündigten Zeitraum stattfinden. Detaillierte Informationen und ein genauer Zeitplan werden rechtzeitig bekanntgegeben. I just wanted to stop in here on the EQII Forums to give you an update the current status of the transition of our EU players to ProSiebenSat.1 Games. Having recently completed the transition for DC Uiniverse Online, we’ve learned a great many valuable lessons and identified a few areas where we’d like to improve the processes. We’re currently using that information and the feedback from player experiences and are working to improve the process further for players in future transitions. To this end, we have made the call not to make the transition for EverQuest II players during the time frame noted in the previous CS notification email. 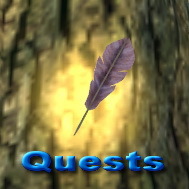 As soon as we have more information on a new schedule for the EQ2 transition, we’ll let you know here, immediately. Further, when we settle on a new date, all EU players can expect to receive a new CS email notification, well in advance. As a side note, and again as a result of valuable player feedback, we were able to fix the issue where some EU players did not receive the initial CS notification email. Thank you all, and see you in game! Dieser Beitrag wurde unter Everquest 2, News abgelegt und mit Alaplaya, eq2, everquest 2, ProSiebenGames, prosiebensat1 games, psg, PSS1, seven cash, soe, sony online entertainment verschlagwortet. Setze ein Lesezeichen auf den Permalink.